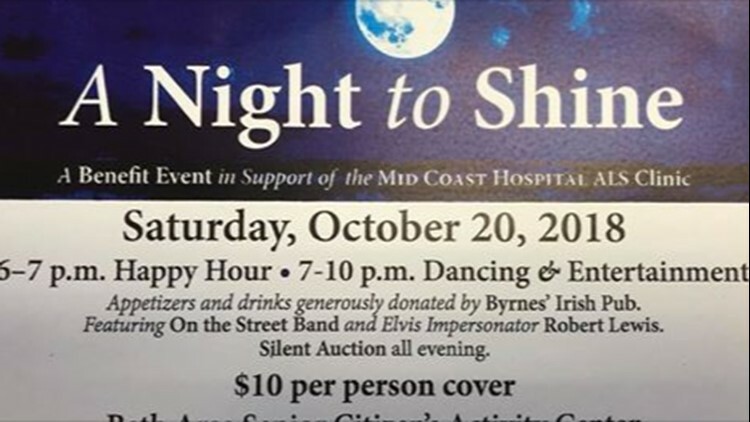 BATH (NEWS CENTER Maine) — A fundraiser is being held for the Mid Coast Hospital ALS Clinic this Saturday, Oct. 20, at the Bath Area Senior Citizens Activity Center. There's a happy hour scheduled from 6-7 p.m. followed by dancing and entertainment from 7-10 p.m. Event organizers say financial support for the clinic "helps cover the cost of services and provides support to the patients and team of care providers." There is a $10 cover charge per person. For more information about the event, visit the benefit's event page on Facebook.